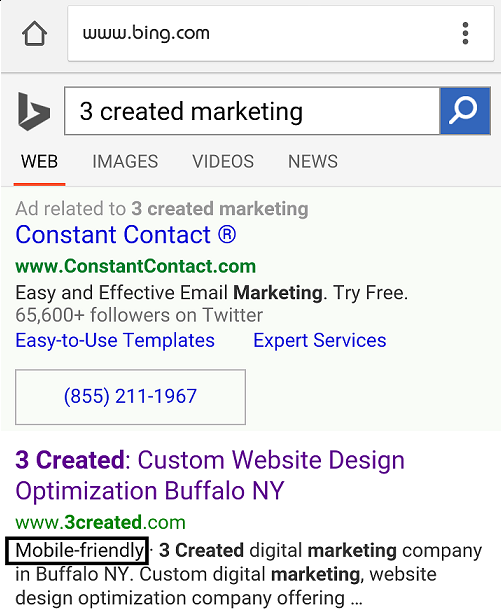 Its reported that Bing’s mobile responsive algorithm change will essentially work the same way as Google’s. Information at this point is gearing towards that idea, but the key details of how the change will affect webmasters and site owners have not yet been released. 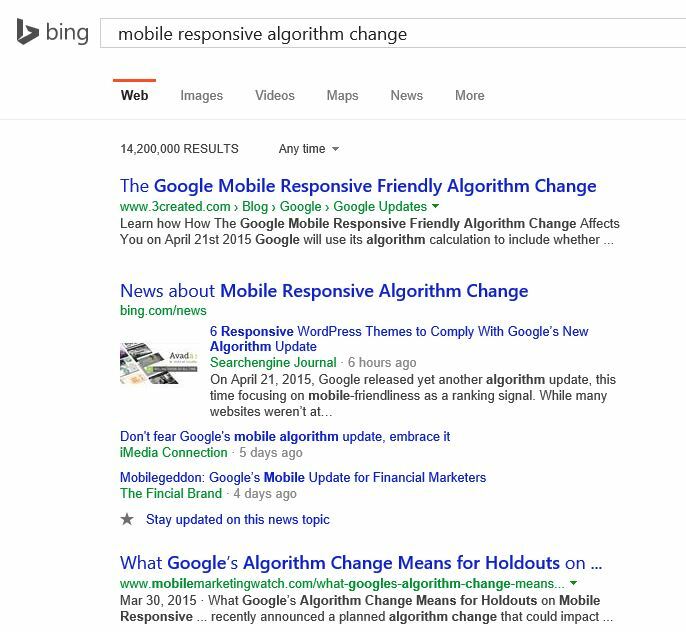 It is expected that this update will be in real time and if your website is mobile friendly, it will have the ability to benefit from the algorithm change.